Donald G. Fritz Sr. 89, of Toledo, OH, passed away peacefully, surrounded by his loving family Thursday, April 11, 2019, at the Ebeid Hospice Residence, Sylvania. Donald was born in Toledo, March 11, 1930, to parents George and Bernice (Borrowman) Fritz. He was employed as a plumber for most of his adult life. The first 35 years spent with Jim Wing Plumbing, then Don began working for himself until retiring in 2010. 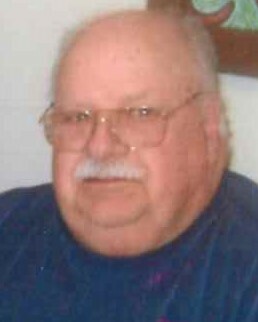 He was a 50-year member of Local 50, Plumbers and Pipefitters Union. Don built, owned, and operated the Covered Wagon Campground located in Ottawa Lake, MI. for more than 12 years. He enjoyed everything about horses, riding and attending rodeos, even participating in them in his young years. Don was a skilled Euchre player and an accomplished Skin Diver. He will be sorely missed by the Saturday Morning Breakfast Club. Far and away the most important part of his life was his family. Don wed Pearl M. Bockert December 9, 1950, a union that has lasted 68 years. He is also survived by his daughters Cathy (Richard) Caskey, Dona Fritz, Tammy (Dave) Stutz, and Ashima Rae; sons Donald Jr. (Beverly) and Robert (Sheri Holtz) Fritz; 34 grandchildren; 30 great-grandchildren with 2 on the way; and 1 great great grandchild is soon to arrive. Don was preceded in death by his parents; brothers Robert, Paul, and Dale Fritz; and grandson Douglas Stutz. Friends may call at the Reeb Funeral Home, 5712 N. Main St. Sylvania, OH, Sunday, April 14th from 2 – 8 PM, where Funeral Services will be conducted Monday, the 15th at 1 PM.